Today is Recess at Work Day. How long has it been since you had a recess? Taking a recess at work can help you build morale, relieve stress and put a little fun into your workday routine. Use today as an opportunity to create team spirit with your co-workers and liven things up a bit. Who knows, you might just enjoy work a little better tomorrow for it. Here's what's happening around the Colorado beerosphere today Thursday, June 20th, 2013. Breckenridge Brewery (Denver) - While they initially release their latest batch of Well Built E.S.B in May, bottles of this imperial Extra Special Bitter have officially hit store shelves. This beer was aged for several months in Stranahans Whiskey barrels. The beer is available at Argonaut Wine & Liquor in Denver and other metro locations. Former Future Brewing Co (Denver) - This brewery in planning is busy designing their taproom at a yet to be disclosed location and are meeting with planners and architects this week. They are also working out details for their Member / Club program. Plans are still to open their brewery and taproom sometime by September or early Fall. Dad & Dude's Breweria (Aurora) - Summertime is right time for lighter refreshing beers and Dad & Dudes have created and released their "Watermelon Basil Wheat" beer and placed it on tap today. Don't worry, you won't be blasted with big watermelon or basil taste, but just enough to distinguish this beer from regular wheat beers. Mountain Toad Brewing (Golden) - Speaking of new summer beers, Mountain Toad just released their new Summer Hop beer. Pair that with some "local and lively" food from Bumper Crop who will be in their beer garden today after work. Lone Tree Brewing Co (Lone Tree) - Don't forget, today they're tapping the Marienplatz Pilsner at noon when they open. Black Shirt Brewing (Denver) - They've released their tap menu for the weekend and it includes the following beers: 2013 BSB Red Ale | Track #2, 2013 Red Saison | Track #1, 2013 Pale Red Rye | Track #1, 2013 Red IPA | Track #2, 2013 Sour Mash Red Saison | Track #2, and 2013 Red Porter | Track #2. Their growler menu is a bit different so be sure to ask your server for their growler menu. If you love red ales then this is the place to be! 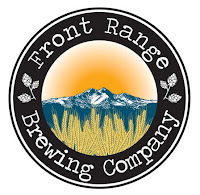 Our Mutual Friend Malt & Brew (Denver) - Attention hop lovers! OMF will be selling bombers of their IPA2 starting today in their taproom at 2pm. This is a big 8% ABV 105 IBU limited batch bottle release. They will celebrate this bomber release also at 7pm with Andrew spinning records and East Coast Joe's food truck outside. Stop in at 2810 Larimer Street in Denver. Wit's End Brewing and Renegade Brewing (Denver) - Renegade and Wit’s End are doing their collaboration again! [PRESS RELEASE] At long last…Judge Whoppner will be back in session… although “session” is not quite the word we would use to describe a 9.7% beer! Brian and Scott had such a great time collaborating on this beer last February at Renegade Brewing, they've decided to do it again. But this round, ahem, will be scaled it up to a 1 BBL batch at Wit's End Brewing Company. If you missed it last time, Judge Whoppner was a collaboration between the owners of Wit's End Brewing and Renegade Brewing Company. Inspired by creative conversations and Whoppers candy, this beer is based on an imperial brown ale brewed with the addition of malted milk powder for a glass of malty creamy goodness. Join us on Thursday, June 27th, at 6:00pm for the release of this beer. Brian and Scott will be on hand to chat about the beer and celebrate the spirit of camaraderie in a craft beer world that is seeing litigation rear its ugly head all too often… beer court is in session… CHEERS! De Steeg Brewing (Denver) - Good news! They just got their distributors license! Bad news: they don't have any growlers to fill. Good news: You can bring your own growler for growler fills until they get their own in. Odd13 Brewing (Lafayette) - More progress continues at this new upcoming brewery. They've just installed 4 new 10 bbl bright tanks in their walk-in cooler and are expecting in 4 more plus their fermenters in by next week. Their bright tanks will be plumbed directly into the taps. More word on when they will open coming soon. 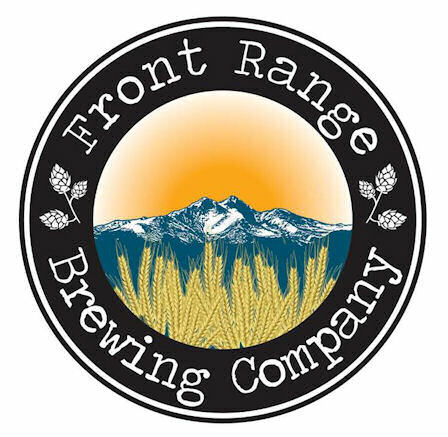 Front Range Brewing (Lafayette) - Another brewery is planning to open in Lafayette this summer and they have set their date for their Grand Opening - Saturday, July 13th! They plan to have four beers on tap for opening day including a Wheat with mango, a Kolsch, an Alt hybrid ale, and a Session IPA. They also may also have a lemon Witte in inventory by then as well. They will have a soft opening set for June 29th from 2pm to 7pm. Avery Brewing (Boulder) - Coming up on Monday, June 24th from 6-9pm is another is a small series of talks about blending sour beers with Andy Parker - aka the Barrel Herder at Avery Brewing's Barrel Aging Cellar. There are a small number of tickets left for this talk which are available in the Avery Tap Room. There will be 8 barrel aged beers to taste and also Joe's Pilsner for palate cleansing and food included. They plan to do another talk in late July if you miss this one. Choice City Butcher & Deli (Ft. Collins) - There are still a handful of tickets let to the 4th Annual Colorado Beer Connoisseurs Tasting tomorrow night, June 21st 7pm at the Sunset Event Center at 242 Linden Street. There will be over 40 hard to get beers being poured along with some tasty food pairings. It's a great way to kick off Colorado Brewer's Festival weekend and finish up Fort Collins Beer Week. Tickets are $50 and available at Choice City deli. Tap and Handle (Fort Collins) - Tonight there will be a Hall Brewing Company tap takeover at Tap and Handle starting at 5pm. This is your chance to taste several beers from this fairly new brewery from Parker, Colorado. Then stick around for the live Blues jam with the Buzz Brothers. Just one of several Fort Collins Beer Week events. Crabtree Brewing (Greeley) - Crabtree has brought back their Trichome Wheat and it's now available on tap. Stop in for a pint and beat the heat inside with their cool A/C and beer. Backcountry Brewery (Frisco) - While they may be sad that their Double IPA is tapped dry, they have put up their Imperial Saison in its place. This award-winning beer is 9.6% ABV and will also be put into bomber bottles starting today and then sent out soon to stores in Denver and the Front Range. San Luis Valley Brewing (Alamosa) - There's a big Rails and Rodeo Block Party happening Friday night outside the brewery. Friday night will be a party lasting from 6 PM to midnight taking over all of San Juan Avenue and filled with beers, music, dancing and food. The Damn Band leads it off and Bittersweet closes the party with dancing and fun for 6 hours. They've got burgers flipping all night long and this year they've invited the likes of Odell Brewing Company, Great Divide Brewing Company and others to pour their brews in the Beer Garden as well. Come on by Friday, June 21st at 6pm and there's a great chance you'll find members from 30 breweries as well as cowboys from the rodeo milling about. View Colorado Brewery Maps - Find a brewery near you! Live Music in the Taproom - Beer and music go great together and many Colorado breweries and top watering holes offer live entertainment every day. Check out the Colorado Brewery Music Listings and find out who's playing at your favorite brewery or beer bar. Updated daily. Colorado Beer Festivals - Looking for info on upcoming beer festivals or related events in Colorado? Check out the listings on the 2013 Colorado Beer Festivals & Events Calendar. Updated daily. Like us on Facebook - There's even more Colorado beer happenings and discussions on the Fermentedly Challenged Facebook Page. Find recaps, special offers, and tips that you won't find on the blog. Colorado Beer Dinners - How about a beer dinner or pairing event? Lots of events are taking reservations now. Check out the Colorado Beer Dinner & Pairing Events listing. Colorado Beer News is published on Fermentedly Challenged daily (Monday through Friday) with craft beer stories as they break from newsletters, emails and social media sites. This news is intended for audiences of legal drinking age (21+). If you'd like to subscribe to this daily by email, sign-up here. Please, always drink responsibly and use a designated driver.